I don’t even know what to put in this post. 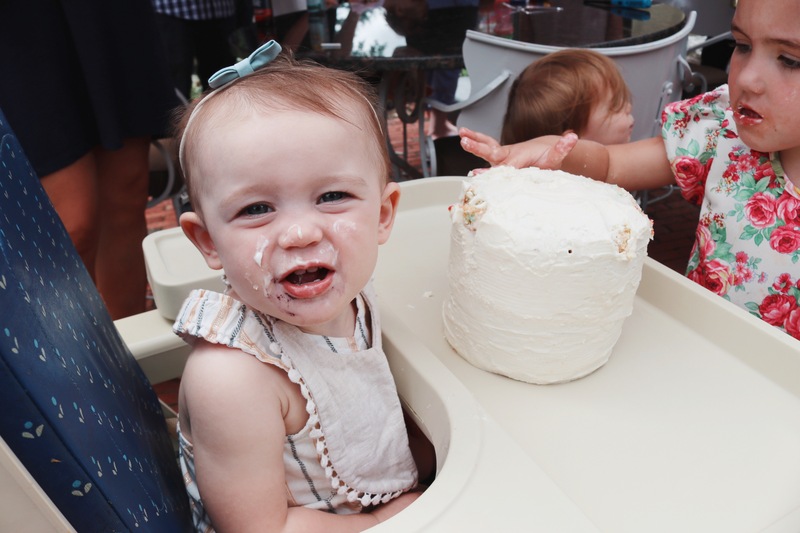 Evelyn’s birthday party was a wonderful day and my heart was so full but like everything in motherhood, it wasn’t at all the day I had planned. I had visions of a beautifully set desert table with strawberry themed treats, and there was the kids crafts table with brown craft paper and stickers and clay, pipe cleaners and popsicle sticks. There was the adorable beverage station with fruit infused water and lemonade. An outdoor games area with oversized jenga, a kiddie pool and gold “Wild One” balloons I’d been coveting. I’d spent HOURS on a DIY tissue paper garland for oversized white balloons. Visions of a staged smash cake backdrop…. I had a pinterest “mood board,” made my family sit through several “creative meetings,” had an “organizing committee meeting” and had put together a color coded excel sheet with everyones tasks for the day of, and the days leading up to her party. And then… that room flooded. Even so, it was a wonderful day. Our entire family braved the storm and made the trek from all over New England to be there and we are so thankful. It was a loud, full house full of cousins which is everything I dreamed of as we intentionally moved back East to be near family. So sharing below some of my favorite photos from the day- not necessarily Pinterest perfect, but fond memories for sure.